Integromat is a cloud-based automation platform designed to connect apps and services with powerful codeless integrations to automate online workflows. The solution allows users to create complex processes integrating multiple systems, and provides tools including automatic error handling, full logging of operations, execution scheduling, scenario templates, and more. With Integromat, users can create both simple and robust integrations, linking any number of apps in any combination. More than 1500 customizable scenario templates are included, and users can also design their own processes from scratch. HTTP/SOAP and JSON modules enable connections with almost all web services without requiring coding, in addition to native support for a wide range of popular apps. Scenarios can be executed manually or scheduled for recurring execution, and users can visualize data flows through their scenarios in real time. Integromat offers a variety of scenario modules such as triggers, which return newly added or updated bundles since the last scenario run, iterators to split a single large bundle into several smaller bundles, aggregators which combine multiple bundles in a single bundle, and routers to divide data flow across multiple branches. All scenario operations are automatically logged to provide users with insight into which data was processed during scenario runs, and this function can be disabled for situations where transferred data should not be retained. We solve most of our back end problems with this service. We have a lot of communication between our website, our database, Trello, Mailchimp, Typeform and Google services. Integromat automates all those processes easily. We generate and send out all our documents with Integromat. We handle all our contact and application forms on our website and on Typeform with Integromat to generate support tickets in Trello, send notifications via Gmail and make entries in our database. From fairly simple to very complex processes Integromat automates all of them to save you a lot of time and nerves.There are a lot of functions for almost every scenario you can think of. But it is still very easy and simple to use. In comparison to many other service (Zapier, IFTTT, automate.io) this is by far the most powerful tool i have used. That is why i was really surprised how cheap the subscription is. There is even a free subscription model that is enough for some basic scenarios. One of the major points that convinced me to use this service was the customer service. The response time is really short and the customer service even helps with specific scenarios. There are a lot of functions for almost every scenario you can think of. But it is still very easy and simple to use. In comparison to many other service (Zapier, IFTTT, automate.io) this is by far the most powerful tool i have used. That is why i was really surprised how cheap the subscription is. There is even a free subscription model that is enough for some basic scenarios. One of the major points that convinced me to use this service was the customer service. The response time is really short and the customer service even helps with specific scenarios. Because of the variety of third party ad-ons there might be some issues when a third party updates their software. But after reporting the issues to the customer service they find a solution. There are a few interface modules that I'd like to see pre-built for tools that I use, but these tools also utilize REST APIs, so the lack of pre-built modules doesn't get in the way of actual development. It just feels a bit neater to use a pre-built module and see those icons in the UI instead of just seeing a bunch of webhoook icons. Great! Although it seems like they dont have a lot of tutorials - just needed to play around with the functionality. Feel that there should be a bit of leeway on the number of operations "to test", as i quickly ran out of operations during my testing phase! messaged support and they sorted me out with a pretty quick response time. so far a very happy user of integromat and its support teamI liked that integromat integrates shopify and quickbooks, which meant that when someone purchased something off my website, i wouldnt need to manually put in all the line items in quickbooks! this means new customer details, line items, which can be quite gruesome to do if a customer orders multiple items. I also liked that integrotmat integrates with google sheets, which meant that when someone purchased something, it can make changes to a spreadsheet which gives me an overall view of my inventory. I liked that integromat integrates shopify and quickbooks, which meant that when someone purchased something off my website, i wouldnt need to manually put in all the line items in quickbooks! this means new customer details, line items, which can be quite gruesome to do if a customer orders multiple items. I also liked that integrotmat integrates with google sheets, which meant that when someone purchased something, it can make changes to a spreadsheet which gives me an overall view of my inventory. Not the easiest to learn, but that goes with any software. You'd need some technical knowledge and a deep understanding on what your process should be like. that being said since the software is so flexible, there are lots of things to change, which makes this software so powerful. Overall I have been very impressed with Integromat. Easy to use fast to accomplish your goals, unless you need support which takes ages to get a reply from I have tried lots of automation solutions out there but Integromat really is far more intuitive. What once was a daunting prospect of linking systems and data together is now a breeze. The list of different sauces and apps to choose from is massive. They also have huge amount of documentation which is very easy to follow. I have tried lots of automation solutions out there but Integromat really is far more intuitive. What once was a daunting prospect of linking systems and data together is now a breeze. The list of different sauces and apps to choose from is massive. They also have huge amount of documentation which is very easy to follow. It is easy to get yourself in a mess adding connectors when you didn't mean to and it isn't possible to save a scenario unless you have completed all the fields. This is a pain when you are creating more complex scenarios and need to flick in and out of other apps. This is overall a phenomenal experience. I own a small business and it feels like we have a big IT budget. I have no programming training or professional experience. I have successfully connected API's for our web forms, CRM, appointment setting, POS, recurring billing, and g-suite. Function. I used Zapier for years and was continually frustrated with it's limits. Somehow found Integromat and the things it can do are truly amazing. Function. I used Zapier for years and was continually frustrated with it's limits. Somehow found Integromat and the things it can do are truly amazing. I am not an IT guy, I consider myself an affluent user of software. In the beginning I was totally overwhelmed. At times I still am overwhelmed. I wish there was more online documentation. Understandably they are a new company, but I like least that I feel like a fool asking basic questions of support. Although, they are always super helpful and very responsive! Free for up to 1000 operations and 100MB data transfer. • Full execution histories for the previous two months are maintained for every scenario, and all operations are automatically logged by Integromat unless disabled by the user. • Scenarios can be run manually for users to observe data flow, and scheduled for execution at different timeframes up to every minute. • Built-in iterators enable the splitting of data to be processed separately, such as multiple attachments on a single email, and aggregators merge multiple files or other data into a single bundle. • Integromat’s error handlers allow users to create custom routes to handle exceptions, using custom logic and filters to apply specific instructions or commands for the execution to continue. • A range of functions are included for working with numbers, text, dates, and lists, enabling the mapping of multiple items into a single field. Below are some frequently asked questions for Integromat. Q. What type of pricing plans does Integromat offer? Q. 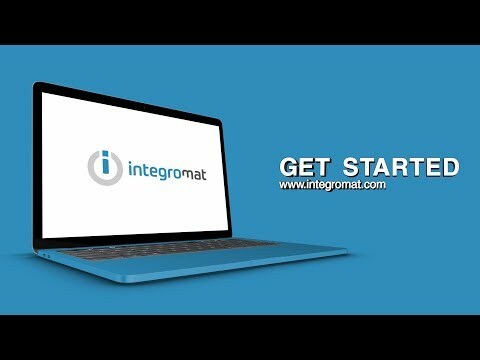 Who are the typical users of Integromat? Q. What languages does Integromat support? Q. Does Integromat support mobile devices? Q. Does Integromat offer an API? No, Integromat does not have an API available. Q. What other apps does Integromat integrate with? Q. What level of support does Integromat offer?